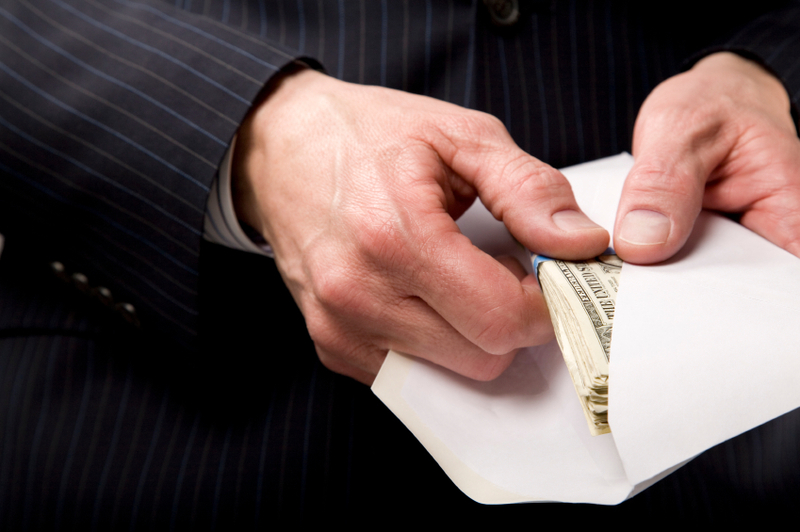 Ask the candidates: Are you for bribery? The column below reflects the views of the author, and these opinions are neither endorsed nor supported by WisOpinion.com . Wisconsin used to be known from coast to coast as a beacon of clean, open and honest government. A big reason for that is we used to have some of the nation’s best anti-corruption laws. Those laws are now obsolete. They are no longer worth the paper they are written on. Here’s why we say that. The anti-corruption laws we refer to are still on the books. Bribing a public official was outlawed in Wisconsin in 1897. A comprehensive ethics code was added in 1973 that included a conflict of interest law requiring officials to abstain from taking any action that might personally benefit them or their family members. Also included was a gift ban making it illegal to give public officials “anything of value” if it might influence or reward them. Under these laws, to this day it is illegal to buy a legislator a beer. If you own a business, it is a crime to give a state official a t-shirt with your company’s name on it. If you run a charity, it is against the law to give an office holder a coffee mug bearing your group’s logo. But you can write out a check amounting to a whole week’s pay – or a month’s – and hand it to that same office holder, and that’s perfectly legal. Or you can take all the money you make in a year – or two or 10 – and plunk it down at local TV stations to pay for ads singing the praises of that office holder. Also legal. Make sense? Of course not. Laws that once served us well have become a bad joke. That’s because the 115-year-old bribery law is silent on the money in election campaigns. So are the nearly 40-year-old gift ban and conflict of interest law. These laws no longer offer any real protection from political corruption because they do not deal with the way corruption works today. The people who wrote these laws could not foresee a time when running for office would turn candidates into full-time beggars. They could not envision a time when only complete fools would offer or accept an old-fashioned bribe because they could accomplish the same thing in entirely legal ways. What was impossible for them to see is now our reality. The groups we represent – Citizen Action of Wisconsin and the Wisconsin Democracy Campaign – have developed a proposal to bring Wisconsin’s anti-corruption laws into the 21st Century. It restores meaning to those laws by adding simple common sense, amending them in a way that acknowledges that campaign donations have substantial value to today’s politicians and can indeed be corrupting. Do that and you end the new form of bribery we’ve come to know so well. So now in this season when politicians are asking for your vote in every imaginable way, voters and the media need to look for every imaginable opportunity to ask them a question: Are you for bribery? After they try to change the subject – and they will try – you need to ask them again point blank. Do you believe the ethics code should be silent on the large amounts of money that change hands in election campaigns? Do you support updating our ethics laws so they meaningfully protect the public from the corruption that campaign contributions can produce? Are you for bribery or aren’t you?